The preparation and packaging of seafood products in Canada brings in revenue of around $5 million and employs around 30 000 people. The Fisheries and Ocean’s Canada has initiated extensive sustainable practices in order to secure the future of the industry. Fish and chips is a relatively healthier fast food. Canadian’s eat about 8kgs of fish a year. It is predicted that Canadian families will spend almost 30% more on eating out in 2018. In a year, Canadians spend more than $80 billion dining out. Fish and chips have become an iconic duo since the appearance of the dish in the 1860s in England. The fish and chip combo took off in popularity and spread to other Commonwealth countries during the 1900s. 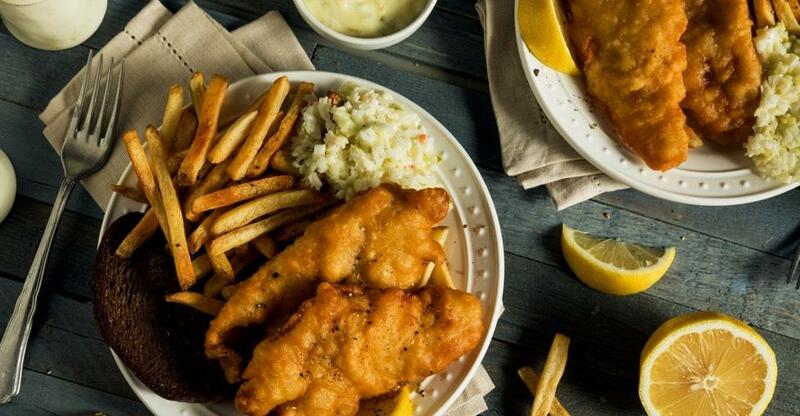 What makes the food ‘fish and chips’ rather than just fish served with chips is usually the way that the fish is cooked: covered in batter and deep-fried. The type of fish that is served depends on the availability of the fish in that region. Depending on the particular vendor, fish and chips may be served with mushy peas, tartar sauce, salt, vinegar or just a wedge of lemon. If there is a salad on the side it is usually a coleslaw. The food is an easy takeaway meal and a lot of fish and chip vendors take advantage of this by making it easy for customers to order to take away rather than sit in. The sector is very dependent on the prices of fish and potatoes. Food items often experience fluctuations in their price and these changes in this might affect your profit margins. The price of fish would be the greatest challenge as international prices are affecting what locals have to fork over for Canadian fish. There are many vendors who are coming up with ways to combat this by diversifying their menus. This is something that eat-in restaurants have already done in large measure making sure that there is more than just fish on the menu despite this being the main attraction. Diversification will also make sure that you’re able to cater to a wider range of tastes and, therefore, a wider range of customers. Online delivery services are also transforming the way that fish and chip shops operate, and it is well worth connecting with your customers through one of the many apps available like Grubhub, Postmates or Ubereats. Ease and convenience are really important to fast food customers. Your business will have to factor this in when you are starting up. Speed and delivery are two ways of achieving this and you should try to streamline your business so that you are able to achieve this. In order to run a successful fish and chip shop, you will have to be skilled at a few things. Knowing the industry is one of the most important priorities. It will work to your advantage if you’ve had some experience dealing with customers in a fast-paced environment and, of course, making food under pressure. When it comes to take-out, customers don’t want to have to wait too long for their food and making sure that the standard of what you are preparing remains the same is difficult. Building a rapport with your customers and providing them with food that they love is how fish and chip shops come to have a dependable customer base that will keep coming back. Never underestimate how important customer loyalty can be especially when there is a lot of competition in the fast-food industry. Going into the fish and chip industry is like any other business in terms of how you need to approach starting up. Make sure that you have a clear outline of your costs and get familiar with how much you need to sell to break even. Get to know your suppliers so that you know that your product is good. There are some suppliers who will also offer discounts to loyal customers. Investing in a fish and chip shop can be a daunting task but if you have a clear business plan that lays out your goals and a clear roadmap of how to get there you will have made the process a lot easier. Make sure that you have done your research on the industry and that you are prepared to invest a lot of your time and energy into the business. Your next task will be looking for financing but, as long as you have a very clear business plan there is no reason that you won’t be able to find the ideal financing for you. Once you’ve secured the financing that you need, you can find your ideal fish and chip shop and begin serving up this traditional fast food double act.